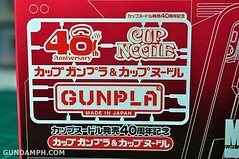 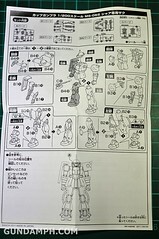 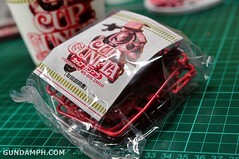 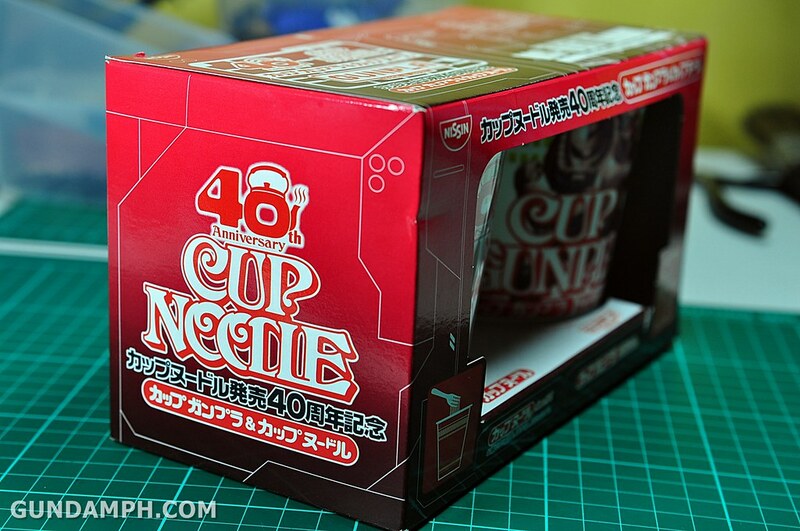 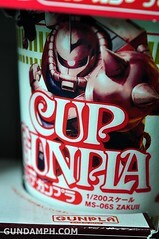 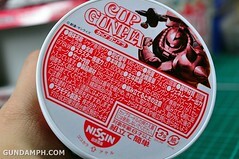 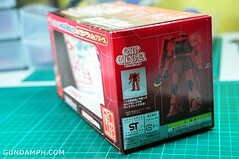 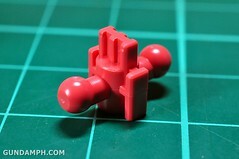 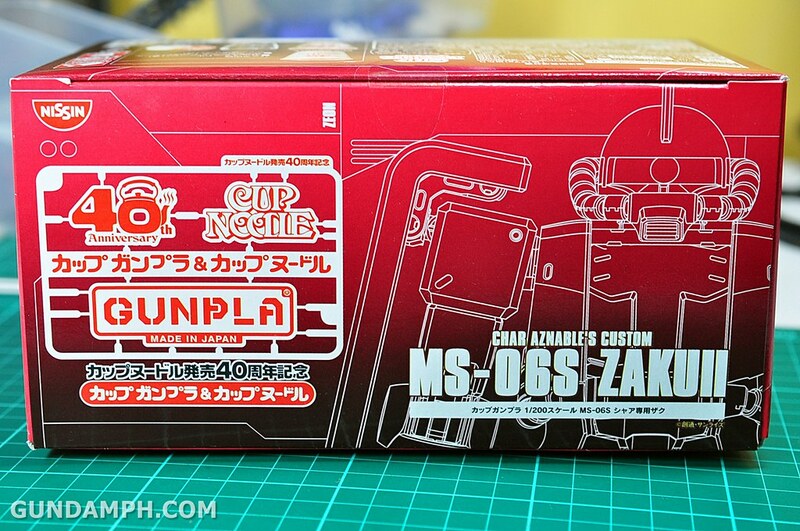 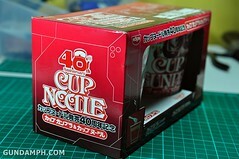 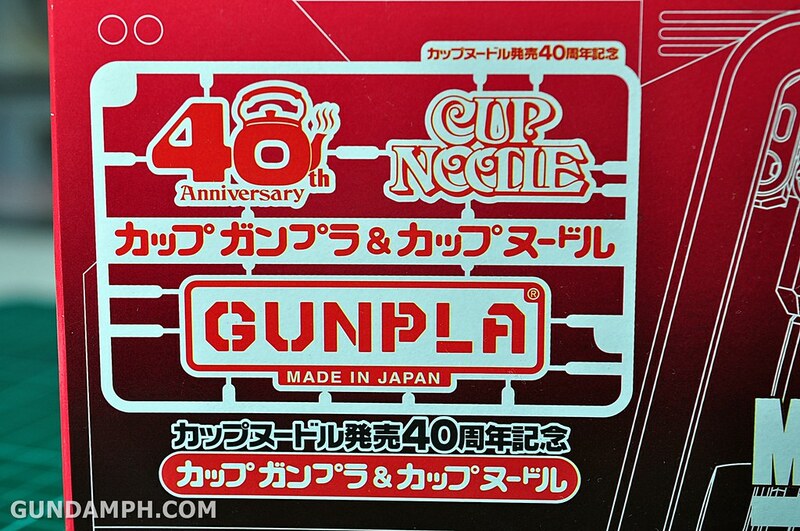 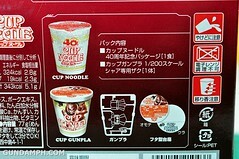 Decided to open up one of our 40th anniversary 2011 Nissin Cup Gunpla set. 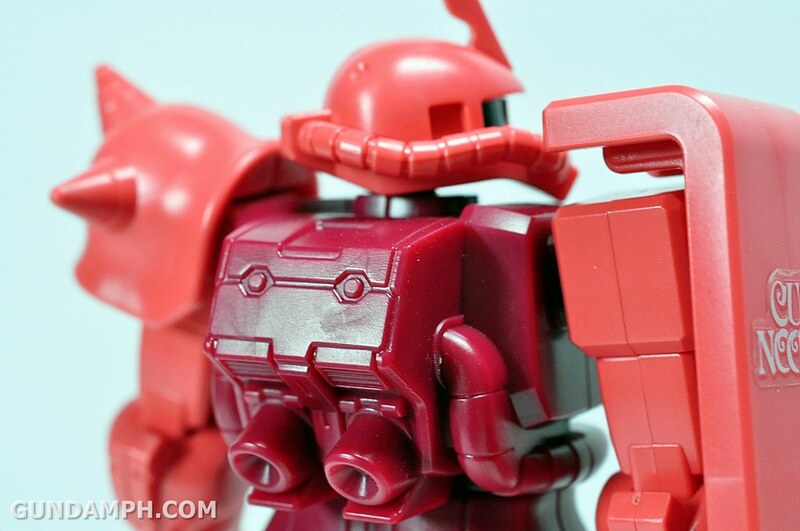 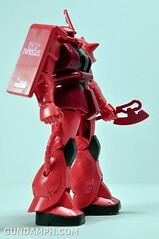 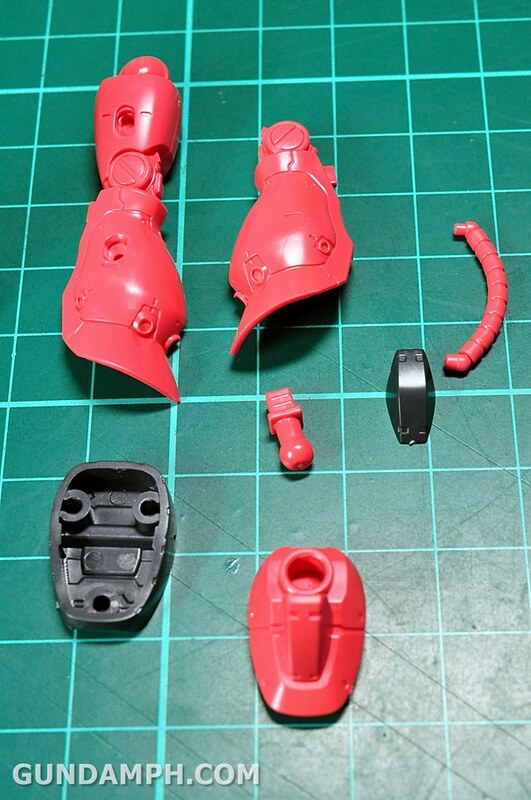 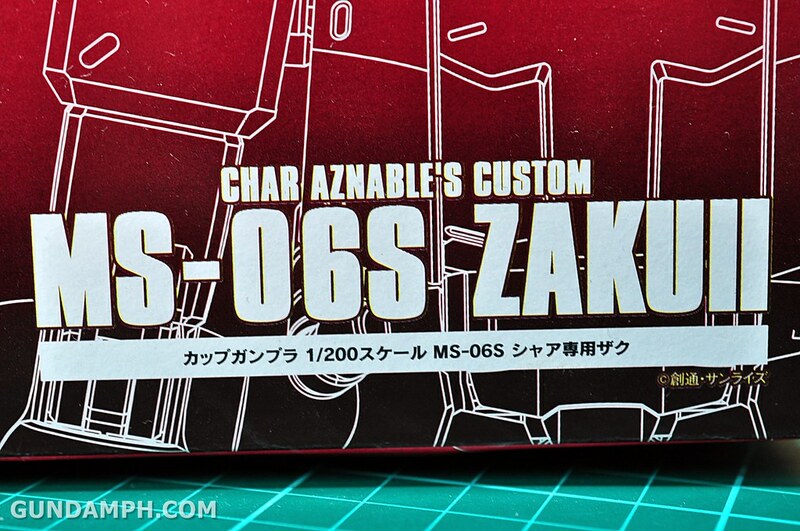 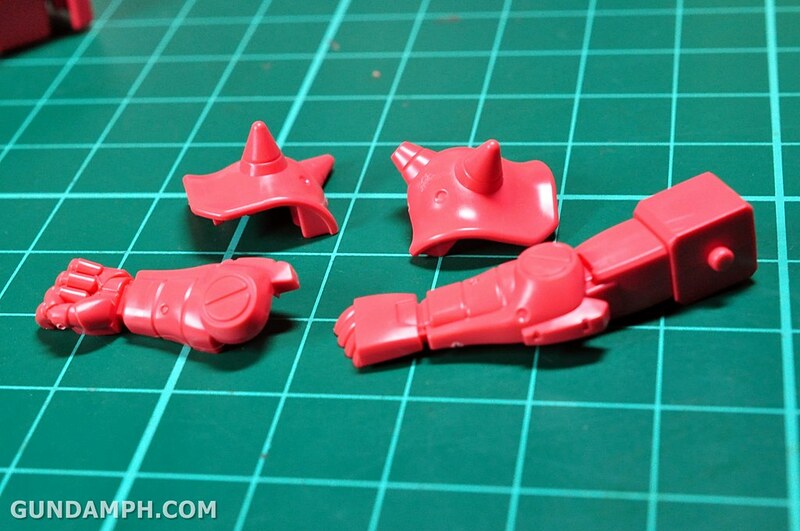 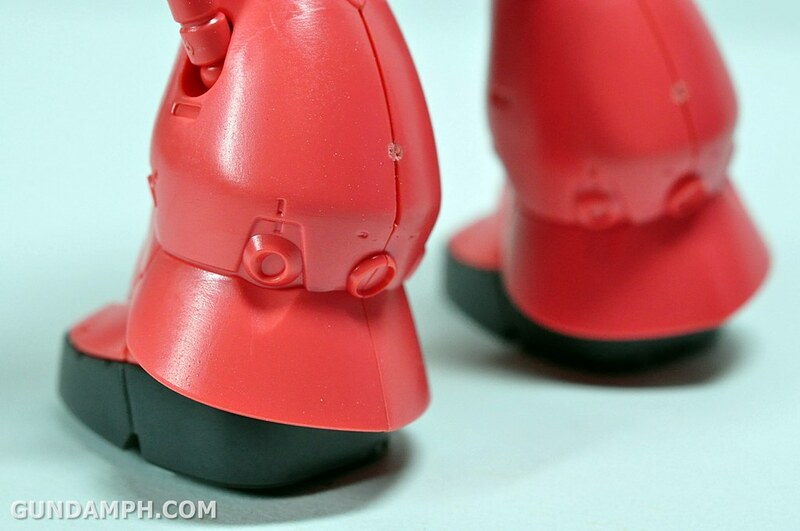 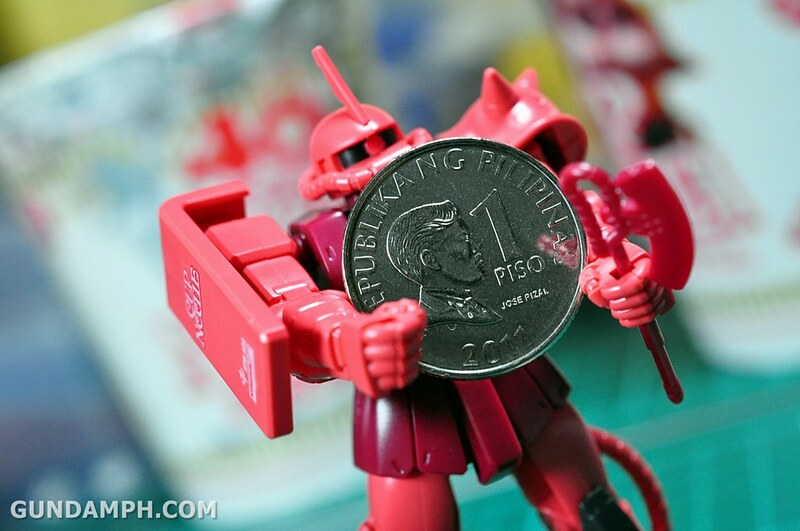 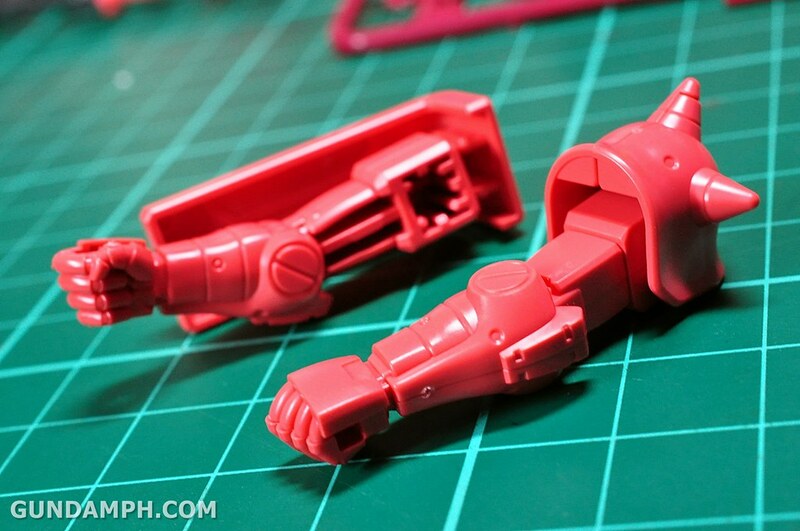 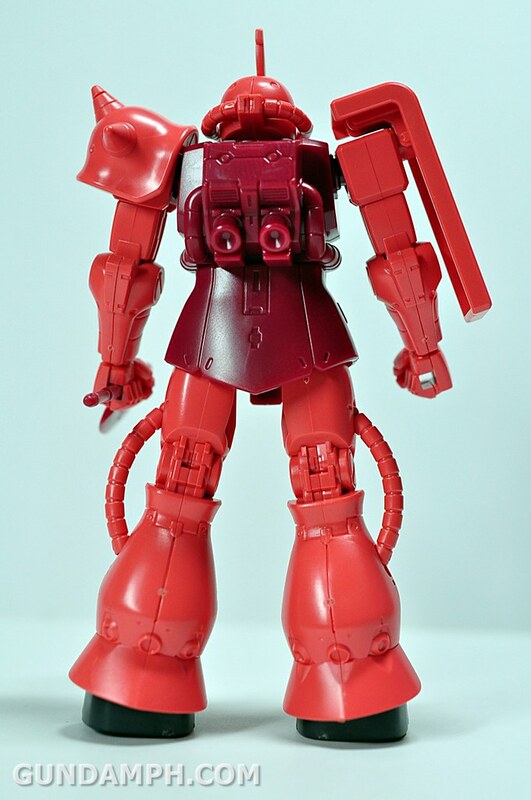 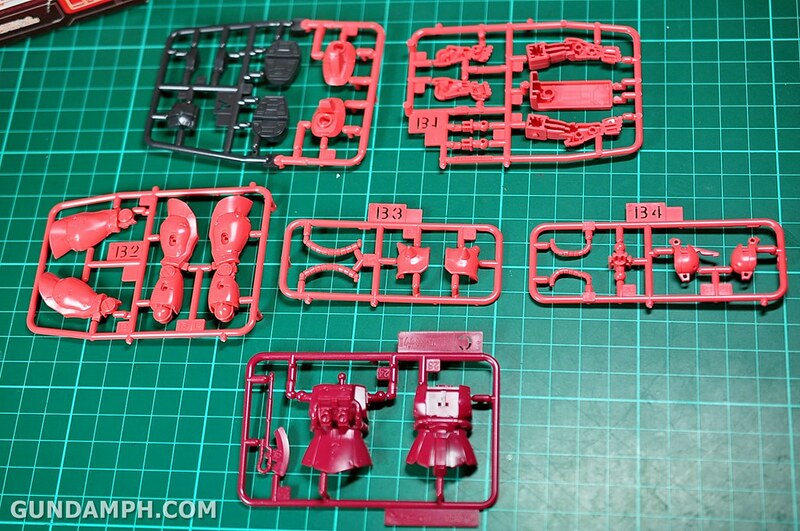 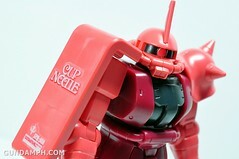 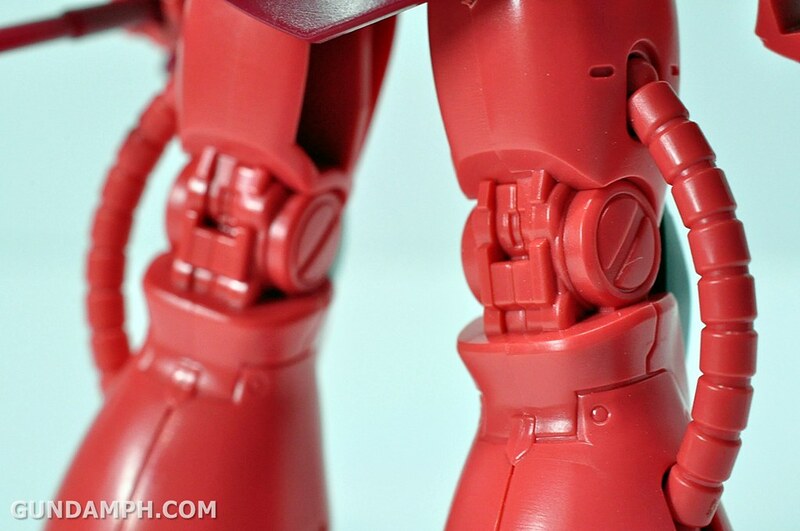 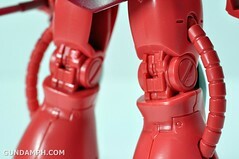 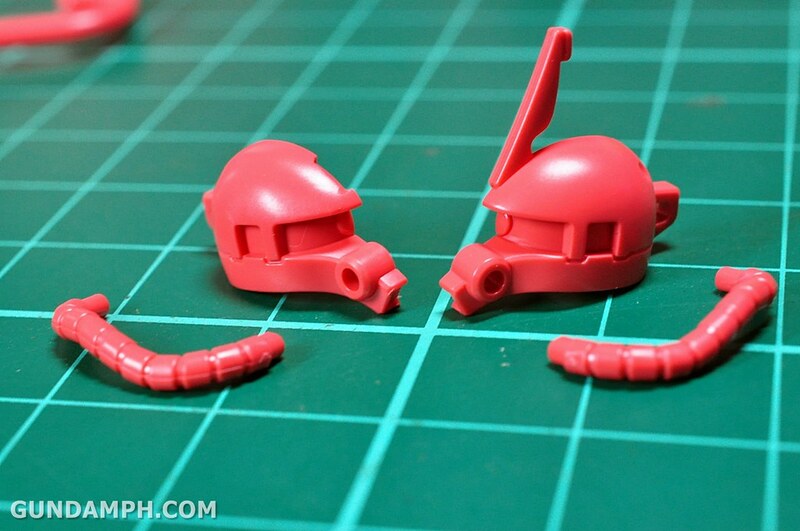 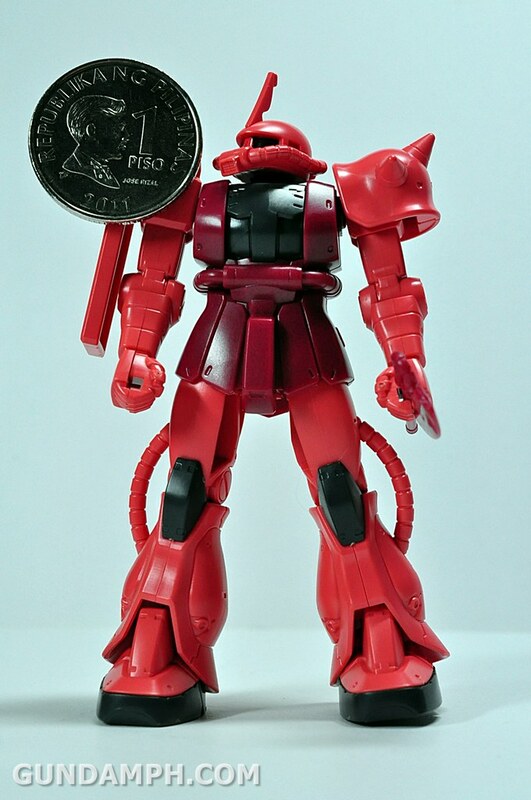 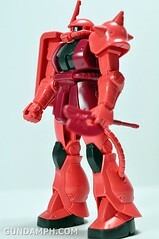 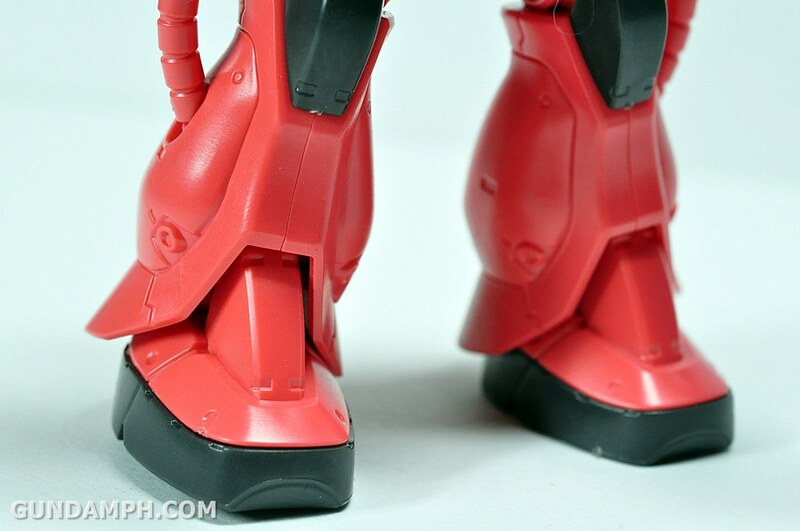 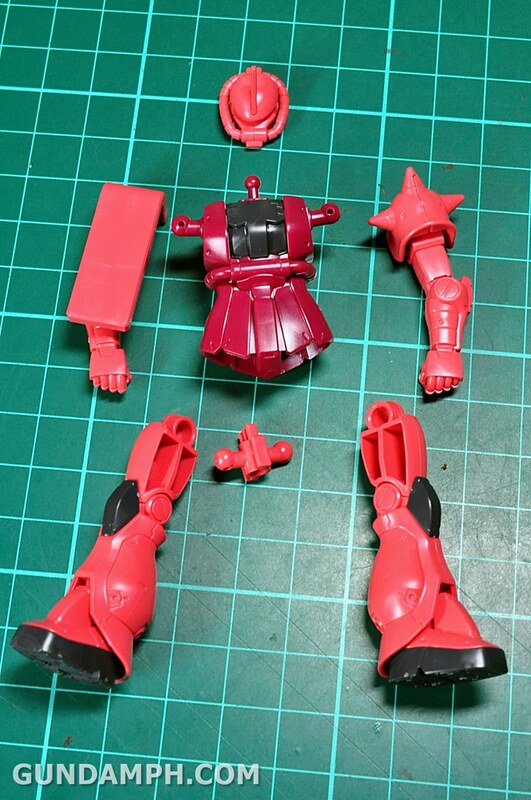 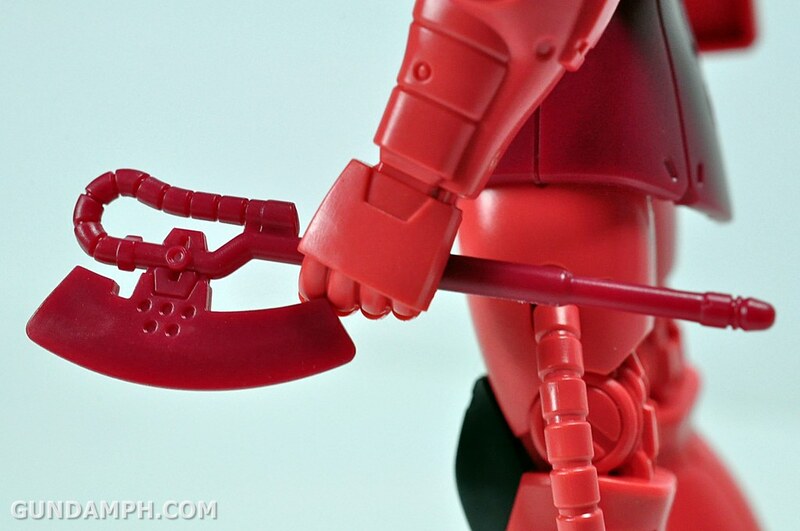 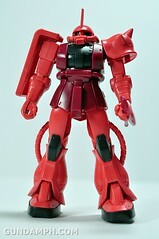 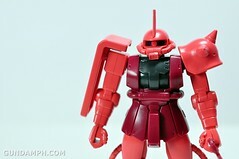 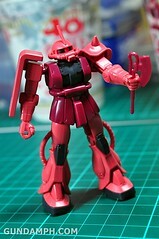 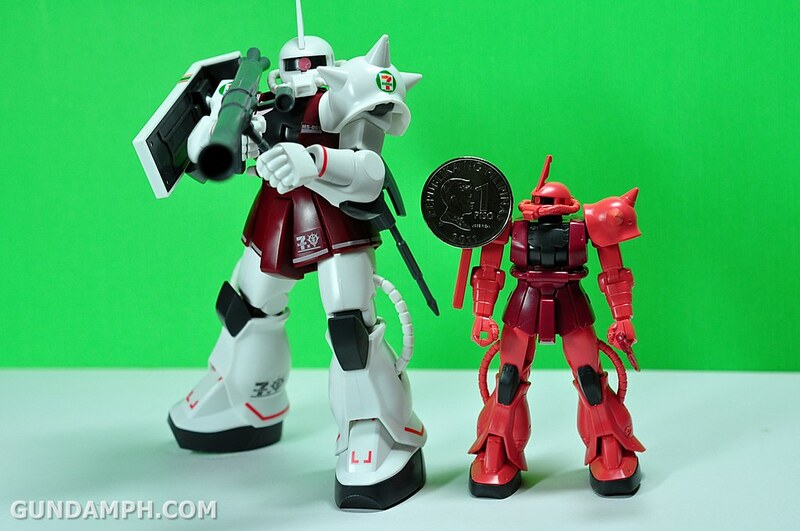 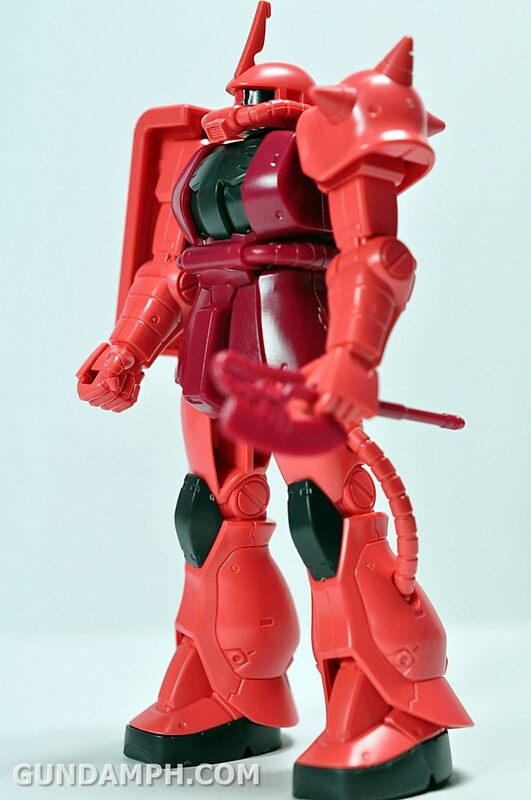 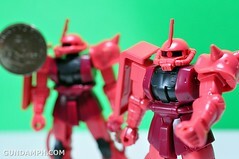 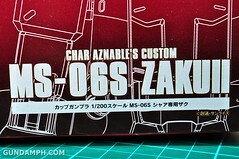 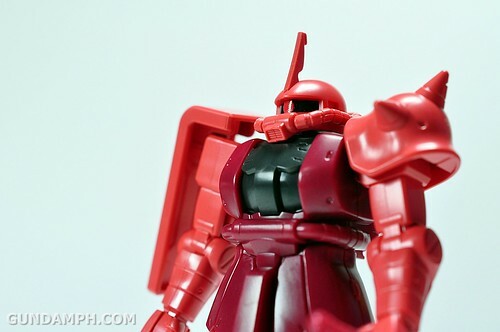 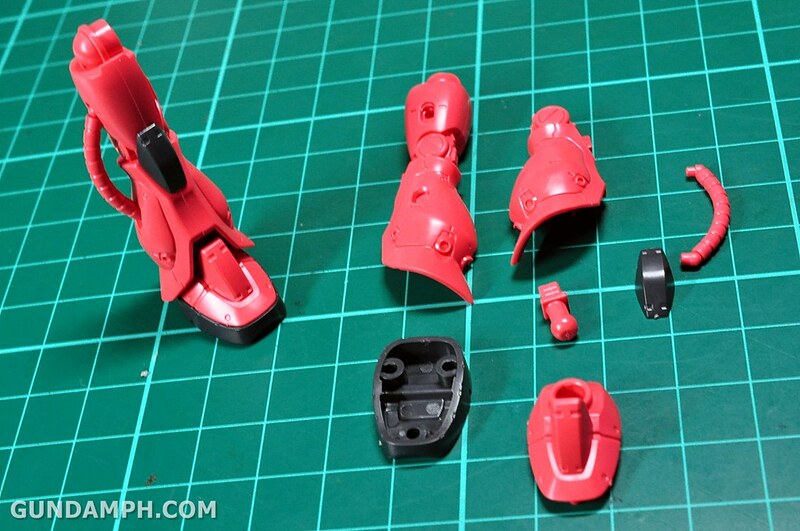 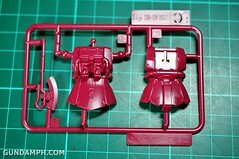 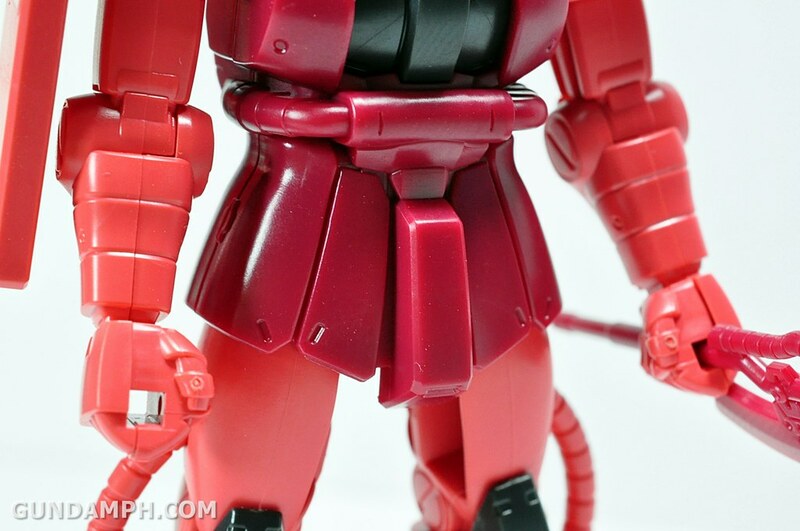 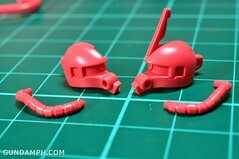 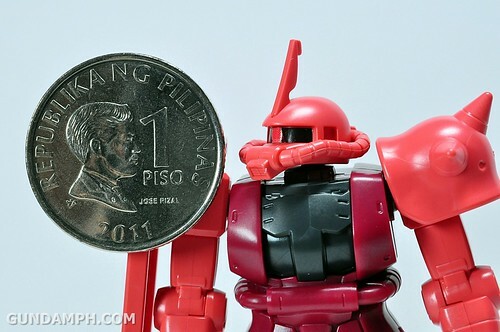 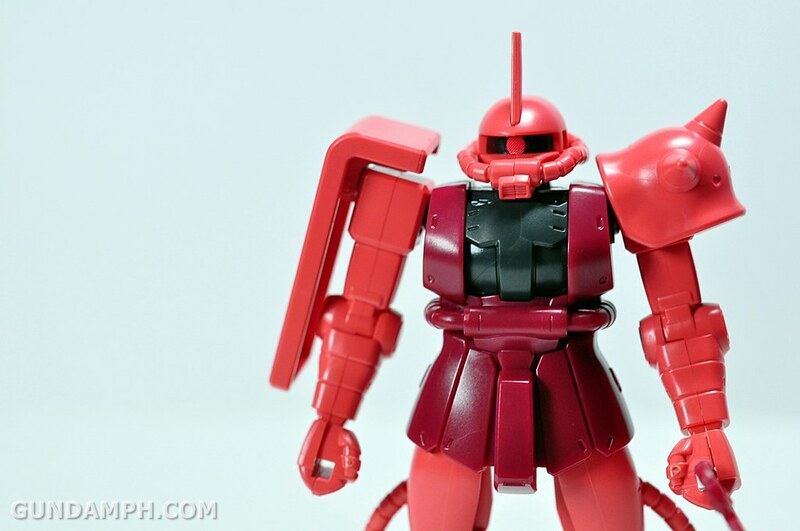 We opened up Char’s Zaku first. 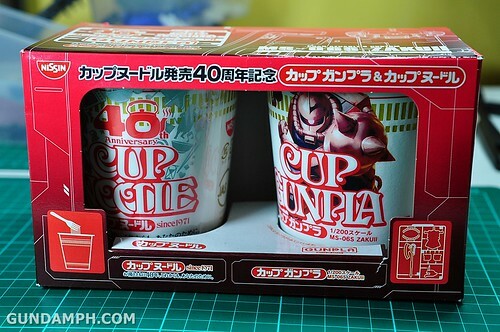 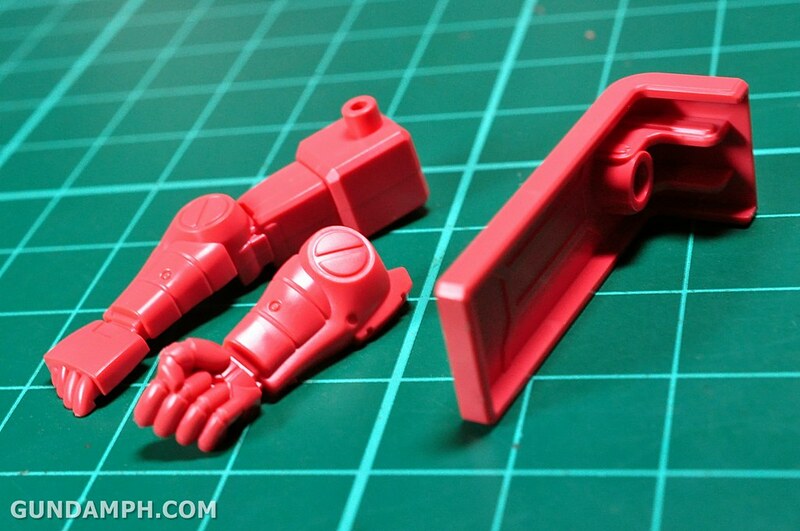 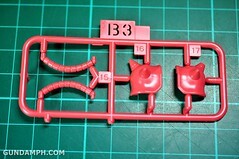 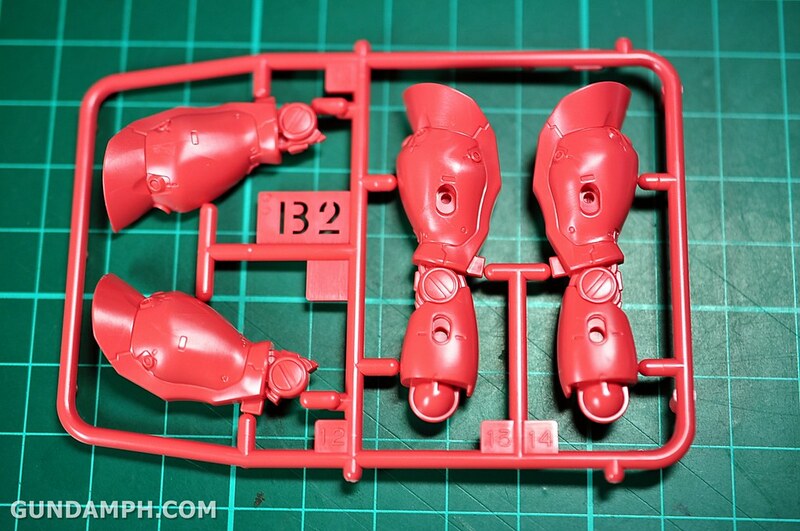 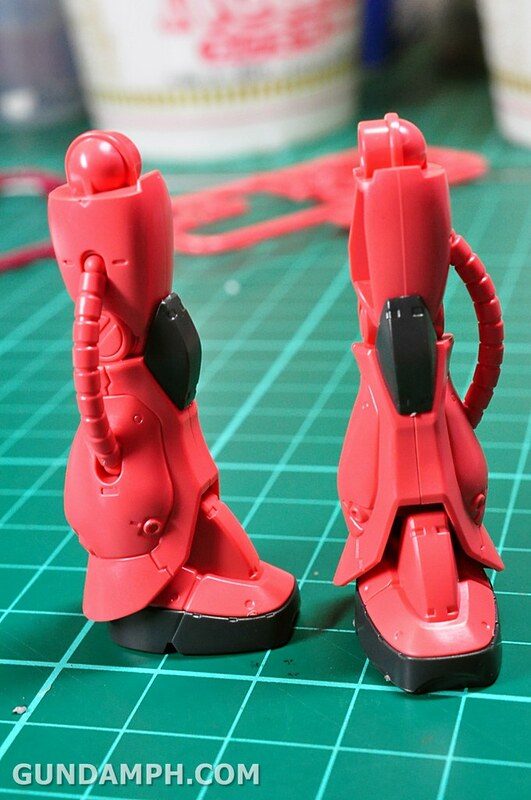 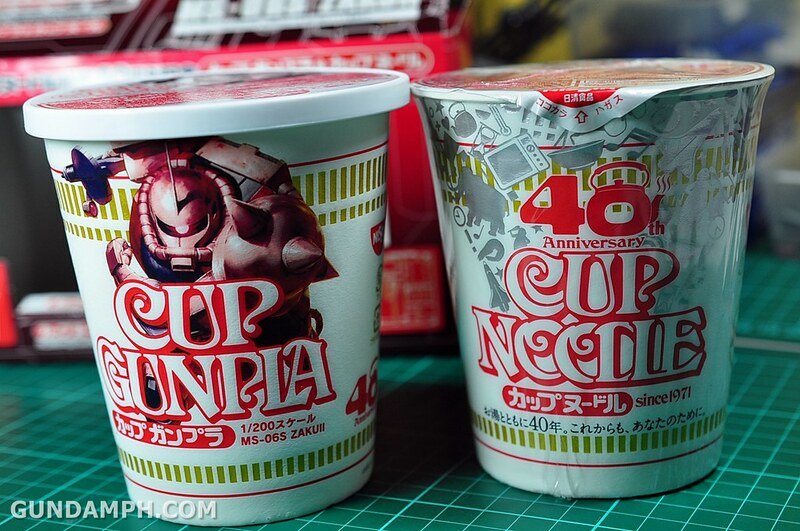 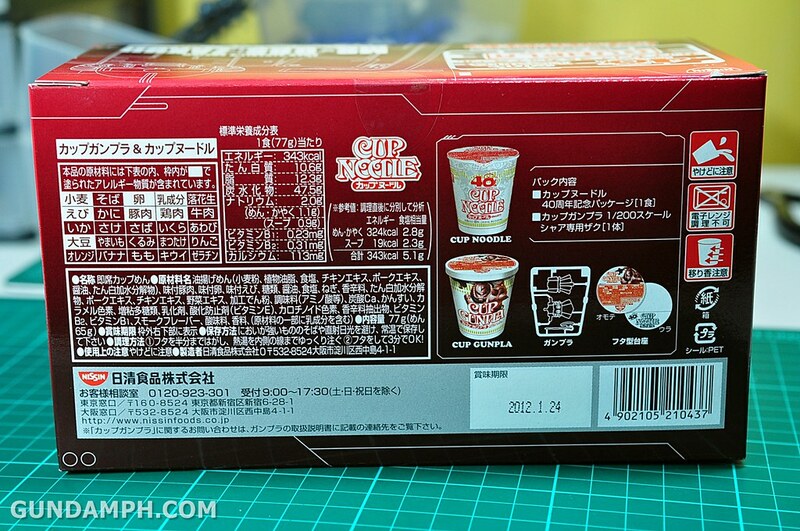 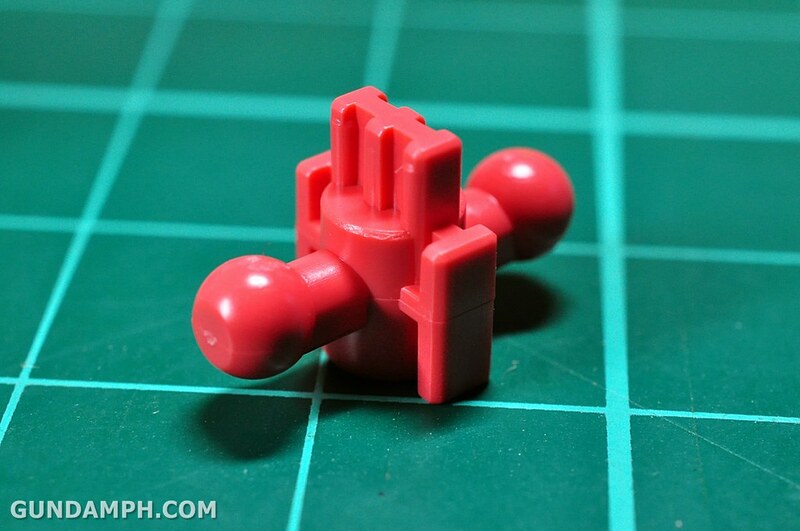 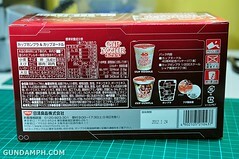 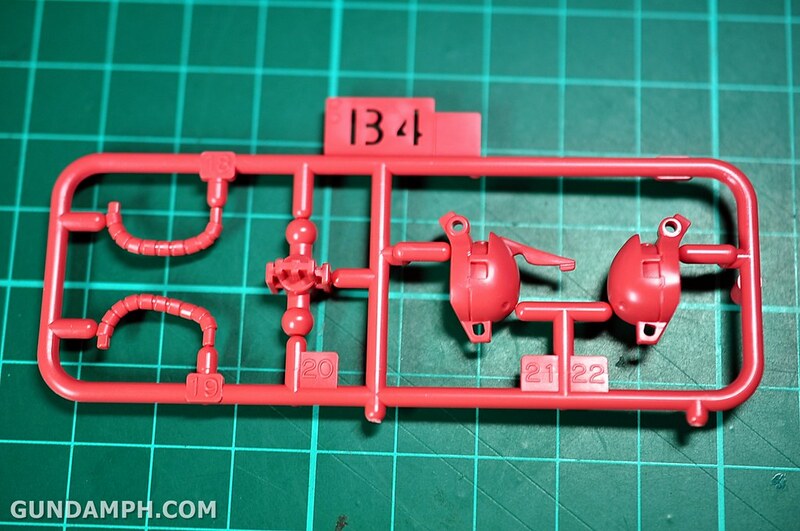 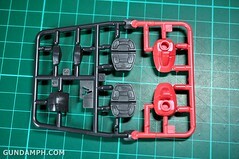 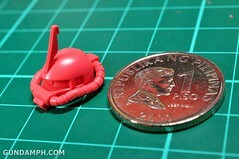 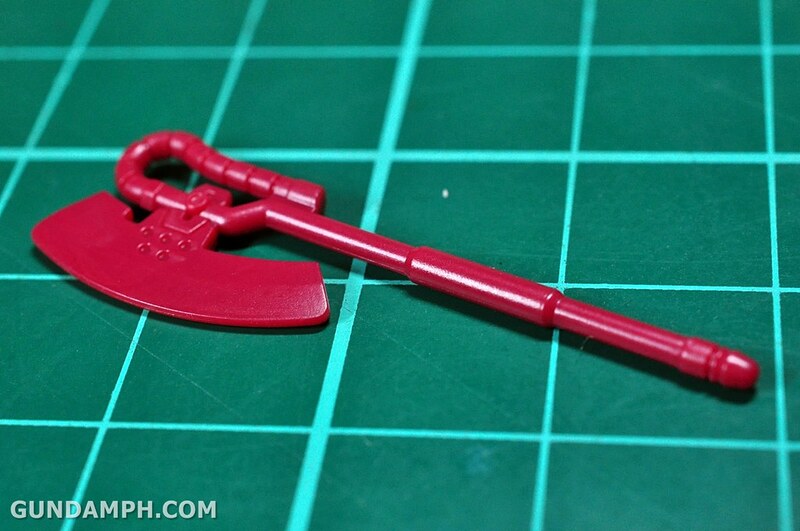 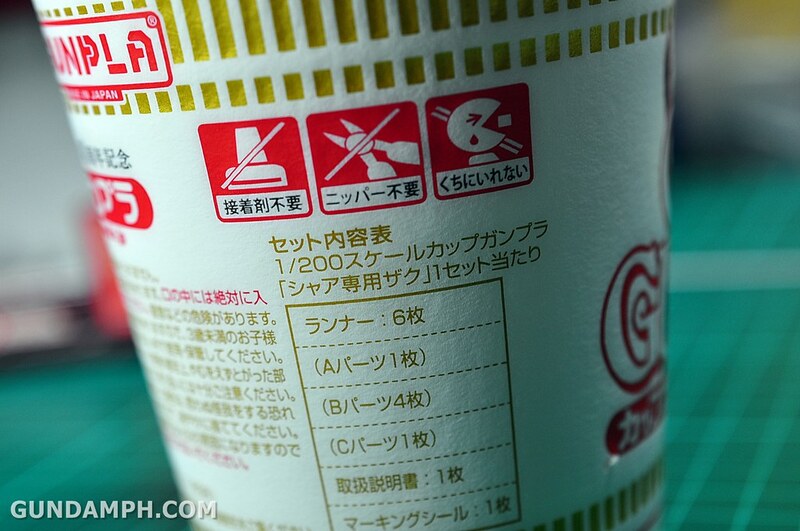 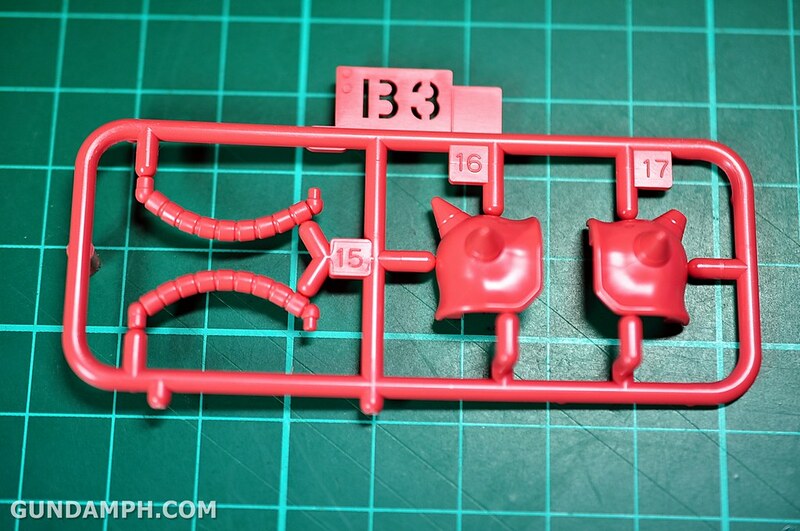 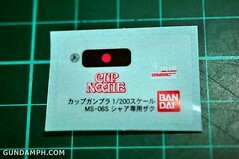 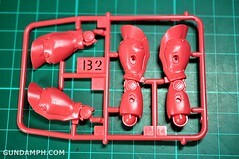 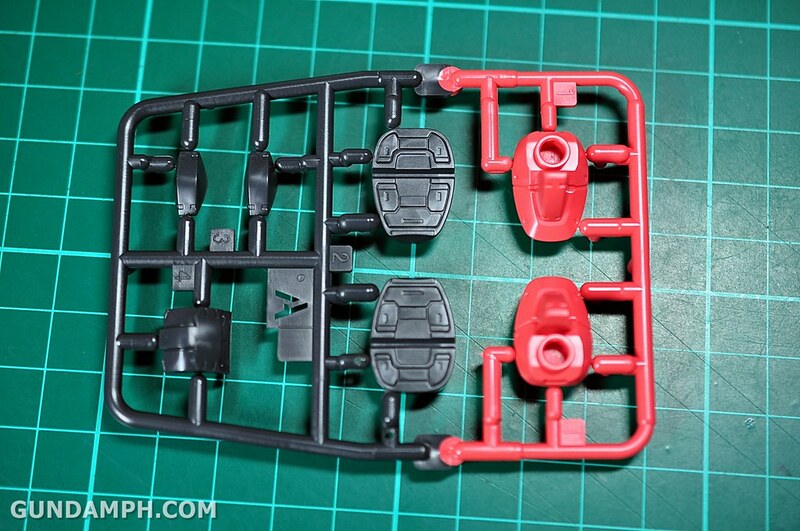 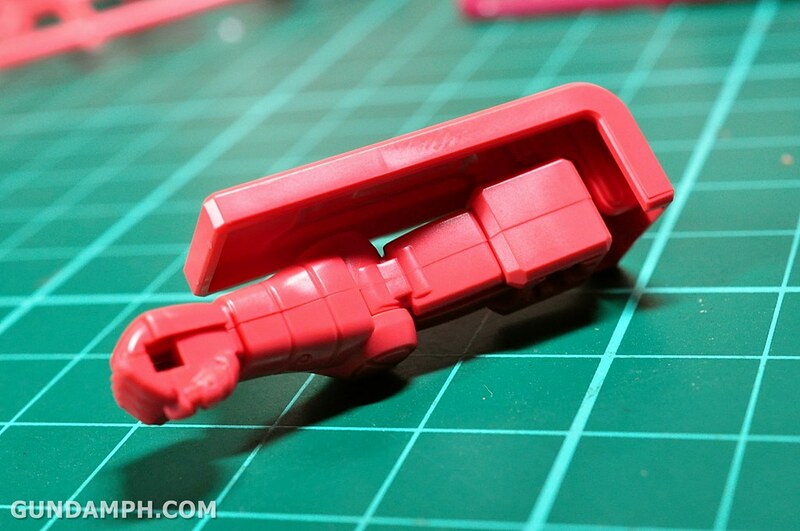 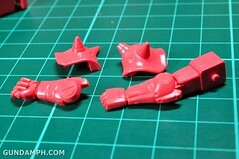 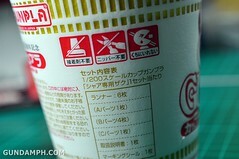 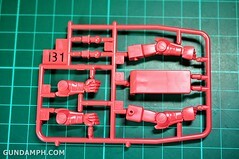 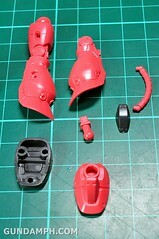 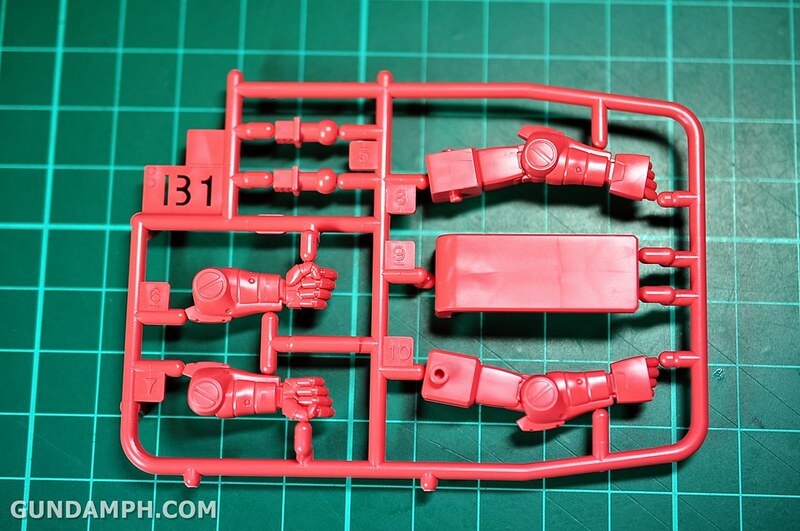 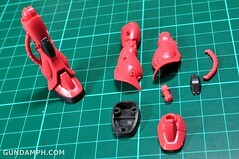 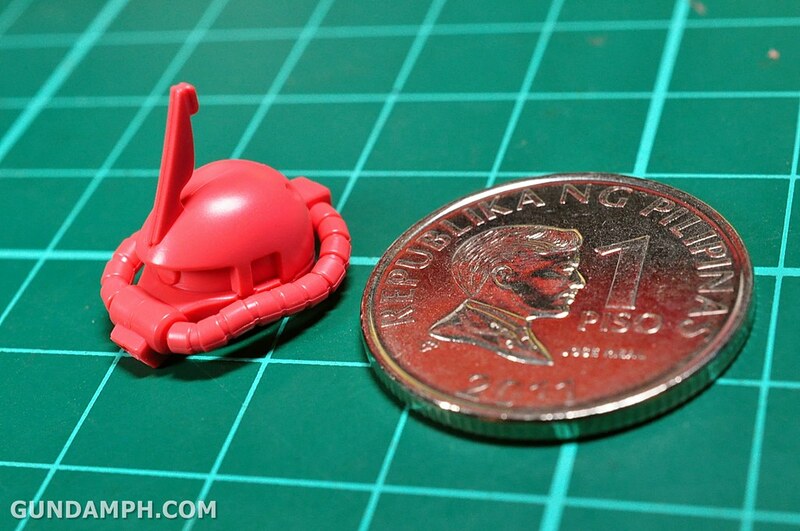 The kit included in this noodle pack is around 1/200 scale (+/-). 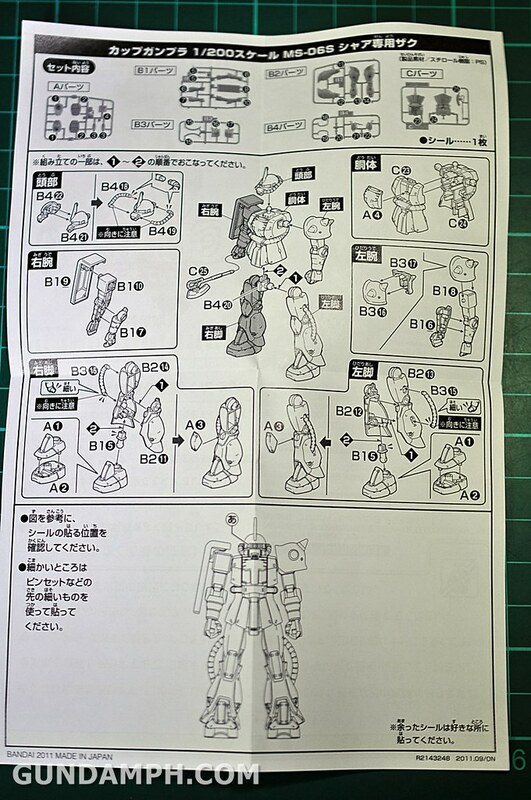 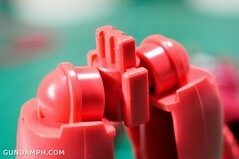 It does not require tools to assemble (just snap-off) and will take you around a few minutes to build. 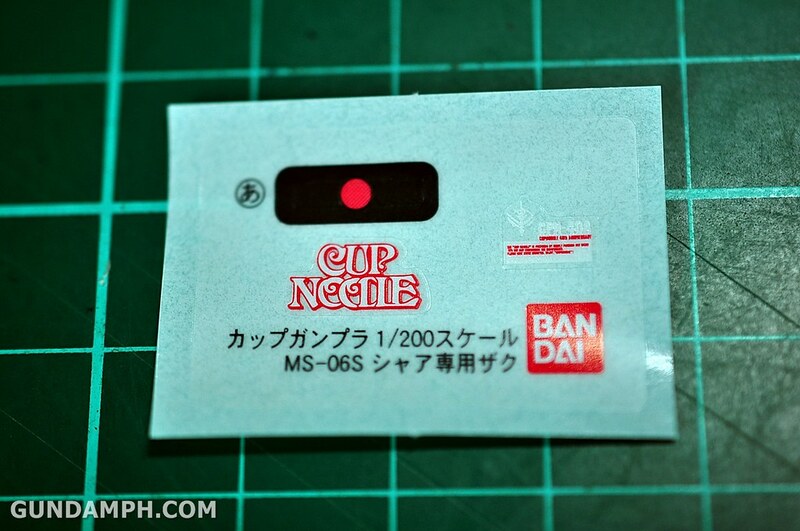 The stickers are made of semi stretchable plastic (imho). 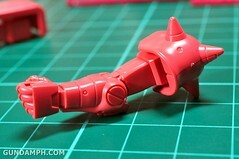 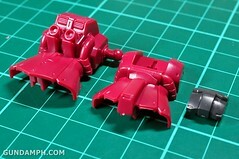 It does not have much articulation so expect it to just stand there when built. 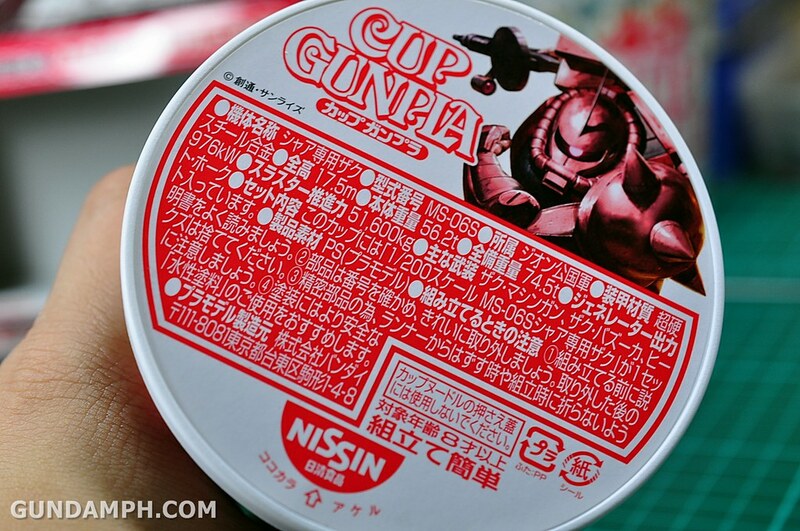 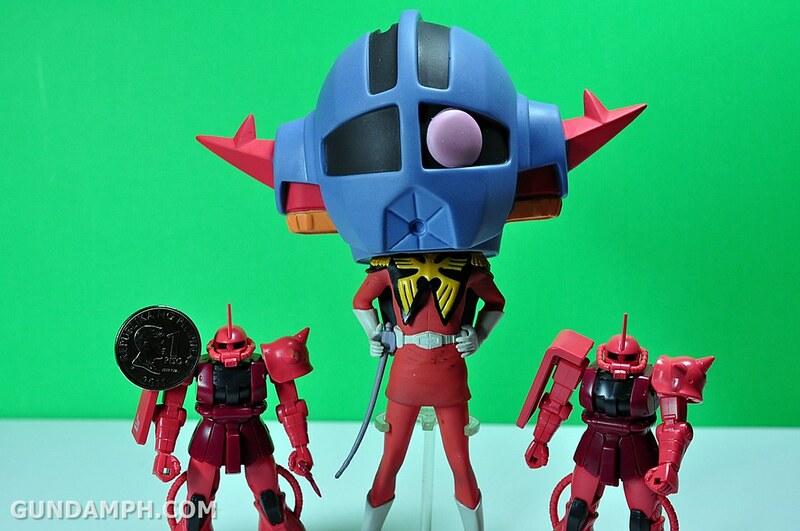 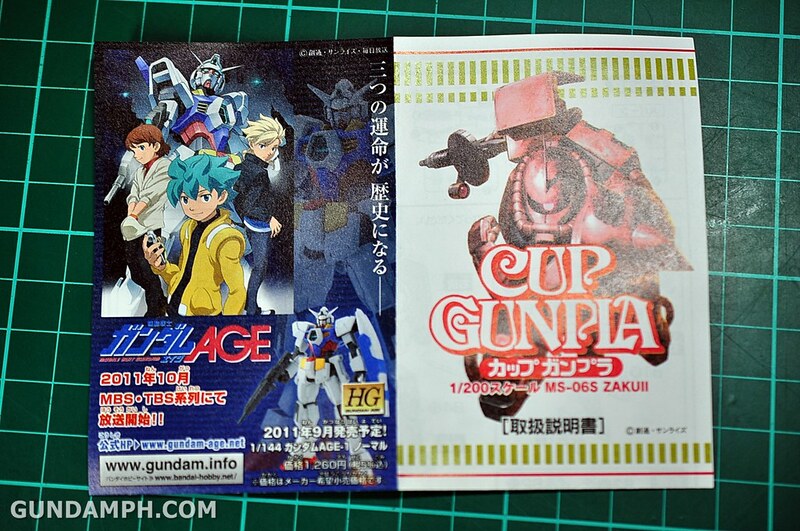 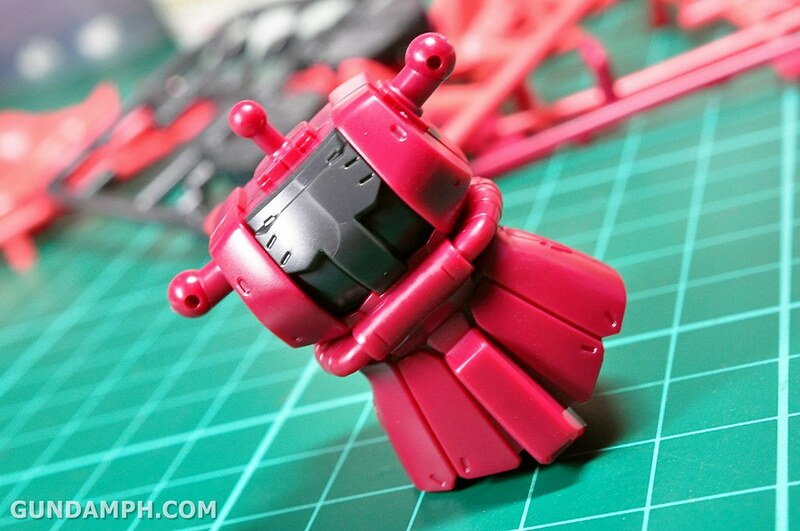 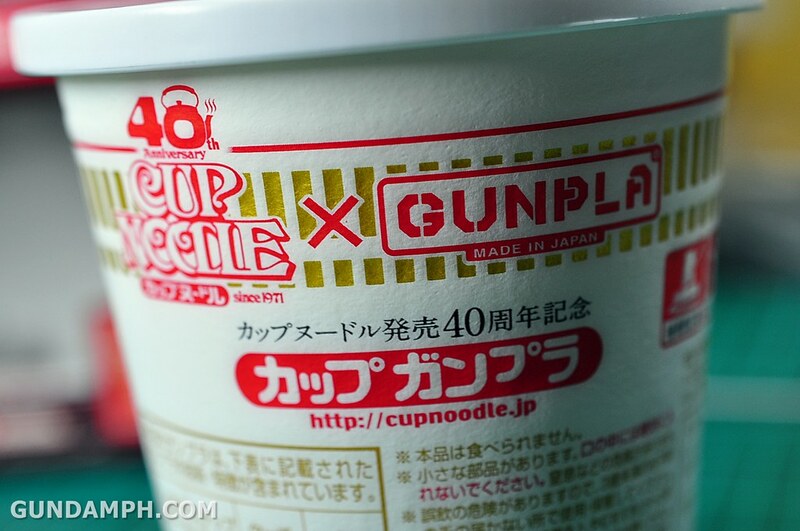 A really cute Gundam novelty item if you are going to ask me. 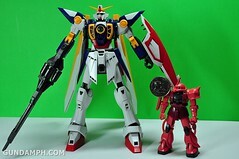 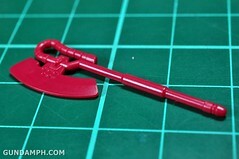 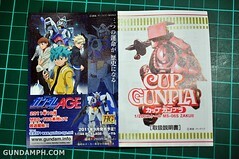 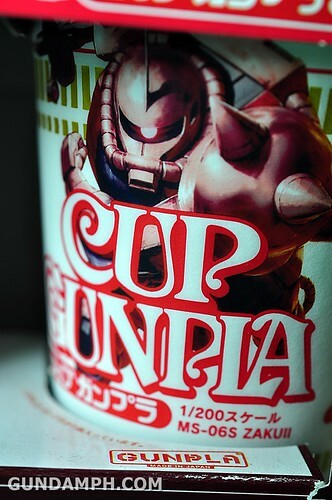 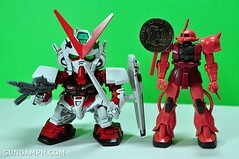 I think the 2012 version is going to be released soon especially that Gundam Front Tokyo is now open. 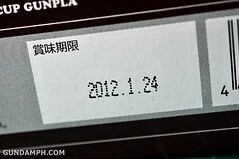 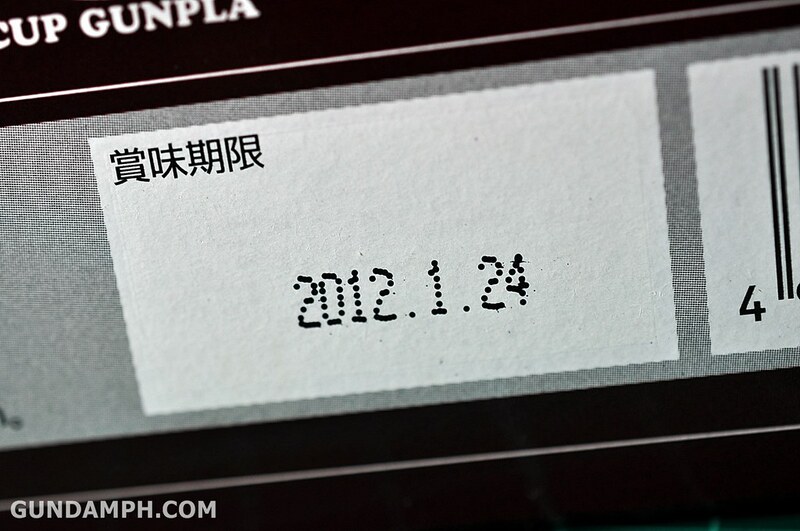 LOL – was not able to eat the noodles, now it is expired… We got eat before it was expired. 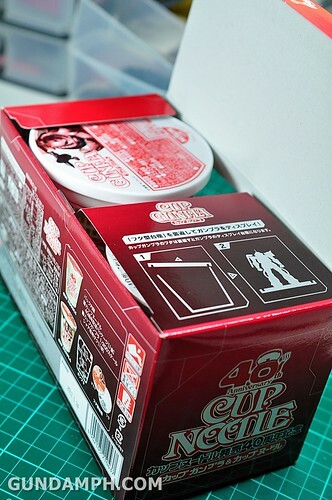 Let us open it up!!! againsts a copy of himself hehe! 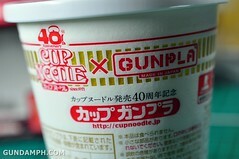 that is all folks! 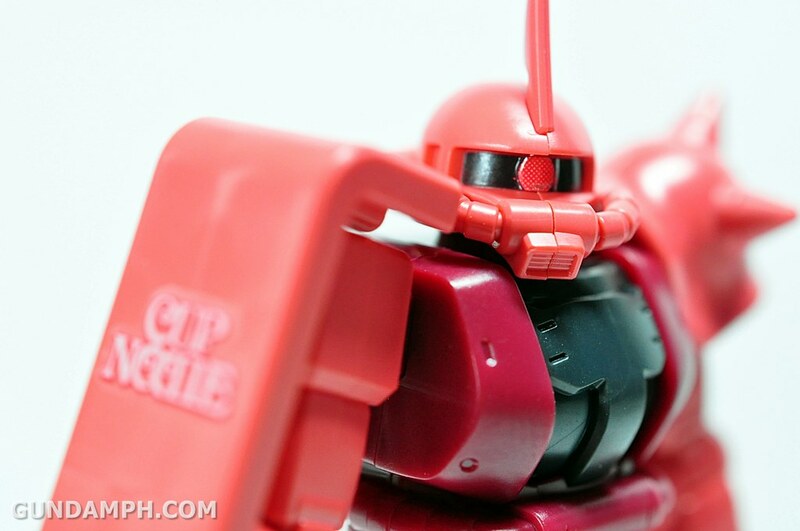 hope you enjoyed the review!!! That’s really a quick assembly hehehehe. 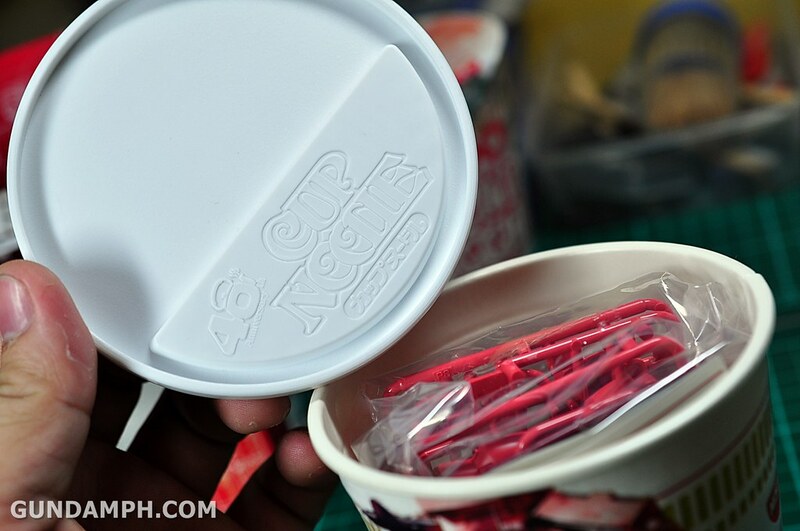 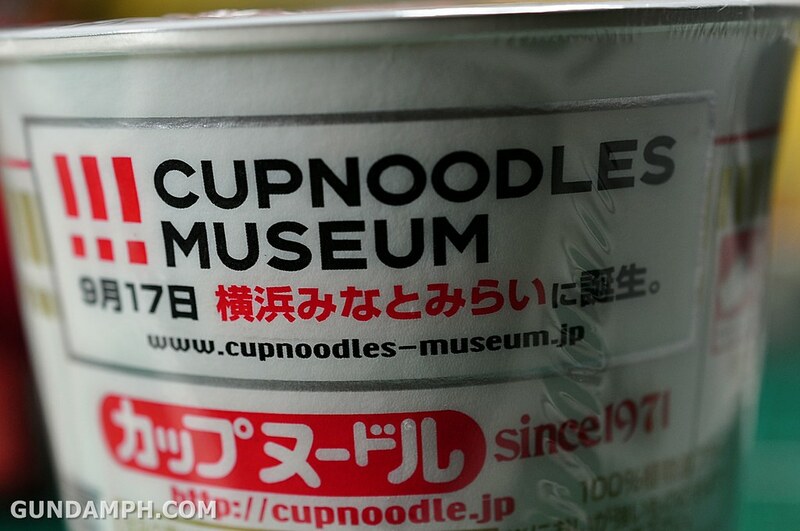 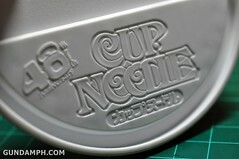 How many MS kit available for every noodle cup pair for the 2011 edition? 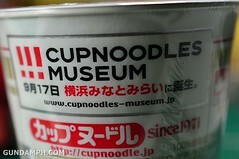 So they are hard to find, especially here in PI? 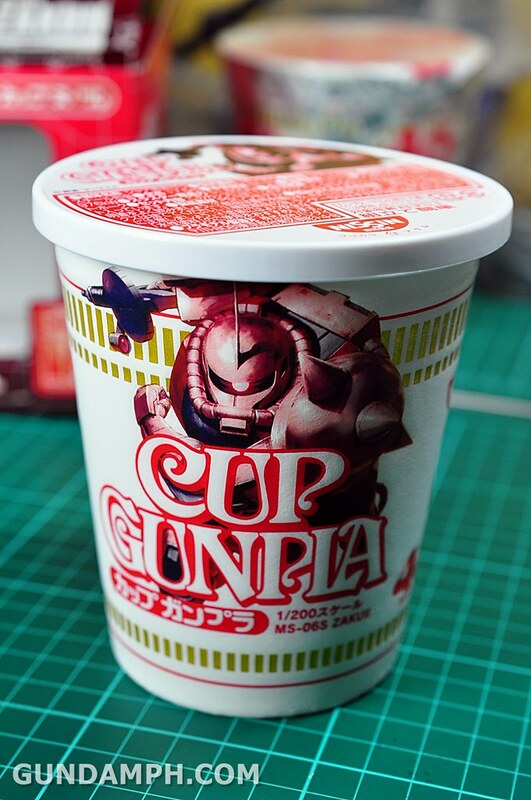 Did you order them or from a local seller?